NYC, 02/22/2019, 6:00PM. 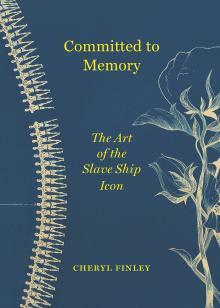 Committed to Memory: The Art of the Slave Ship Icon. An evening with Dr. Cheryl Finley to discuss her 2018 book. In an illustrated presentation, Finley will address how an eighteenth-century engraving of a slave ship became a cultural icon of black resistance, identity, and remembrance. Guided by the question “How do artists use visual culture to create alternative narratives?”, Finley will present on salient themes that emerged from her research, including “How is the slave ship icon relevant to contemporary culture and identities? A wine and cheese reception to follow. Cheryl Finley is an associate professor of art history at Cornell University, as well as a curator, contemporary art critic, and frequent essayist. She is the co-author of My Soul Has Grown Deep: Black Art from the American South (Yale University Press, 2018). A specialist in the art market, Finley’s current research examines the global art economy, focusing on the relationship among artists, museums, biennials, and migration in the book project Black Market: Inside the Art World.